Well November is upon us. With that the holiday bombardment of parties filled with foods high in sugar, fat, and salt. Indulging is what our country has woven into the holiday season. Excess weight gain is very commonplace during this time.MOVEMber is a program (source) designed to educate men about health issues, namely prostate and testicular cancer, as well as mental health and exercise. Men are encouraged exercise daily and to grow a mustache to help call attention to these issues, but what is missing? It's important to call attention to the #2 cancer of men (prostate cancer), the #1 cancer for men between 15-34 in the US (testicular cancer), and to encourage men to exercise. However, a STRONG correlation between diet and prostate cancer has been shown. Just this past week, the WHO (World Health Organization) came out to link processed meats and red meat to being a carcinogen (source). It placed processed meats (yes, that includes your turkey lunchmeat!) into the same category as tobacco, dioxin, coal, and PCB's! While they are not as toxic as these items, processed meats are now considered a class 1 carcinogen! That's pretty big news! 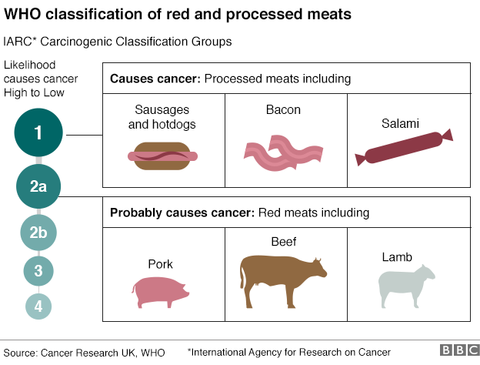 Red meats (including beef, lamb, and pork) have been labeled a class 2 carcinogen. What does this mean for men's health? Risk of prostate cancer can be diminished with the same diet that helps to prevent all cancer: a diet high in fiber, low in saturated fat, and high in vegetables, fruits, and beans. In other words, a diet that focussed on on a whole food, plant-based diet, low in fat. Let's help men learn that MOVEmber isn't just about who can grow the cooler 'stash, but who can eat the more colorful plate, who can exercise everyday, and who can MOVE others to do the same!For recipes to encourage you or the man in your life to eat a plant-based diet, join me over at www.gardenfreshfoodie.com, for recipes that are high in fiber, plant-based protein, and low in fat. 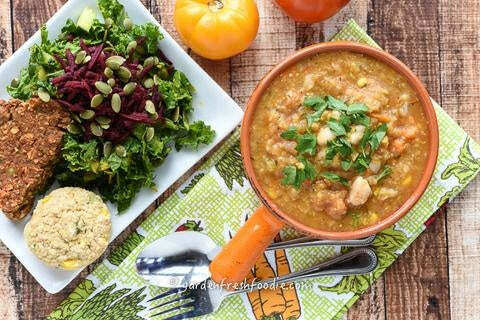 Recipes like this hearty Late Fall Red Lentil Soup.